A good news to all Smart Bro Prepaid Home Wi-Fi subscribers! 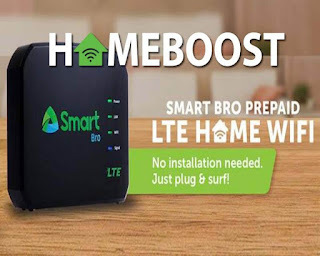 You can now top up and avail the latest internet offer Smart Home Boost promo that offers very affordable mobile data top up. Starting from 15 pesos, you can get additional 1GB of data on top of your SurfMaxPlus subscription. You can also get the 1GB add on when you have active Home Boost 50 or higher still for the same price. 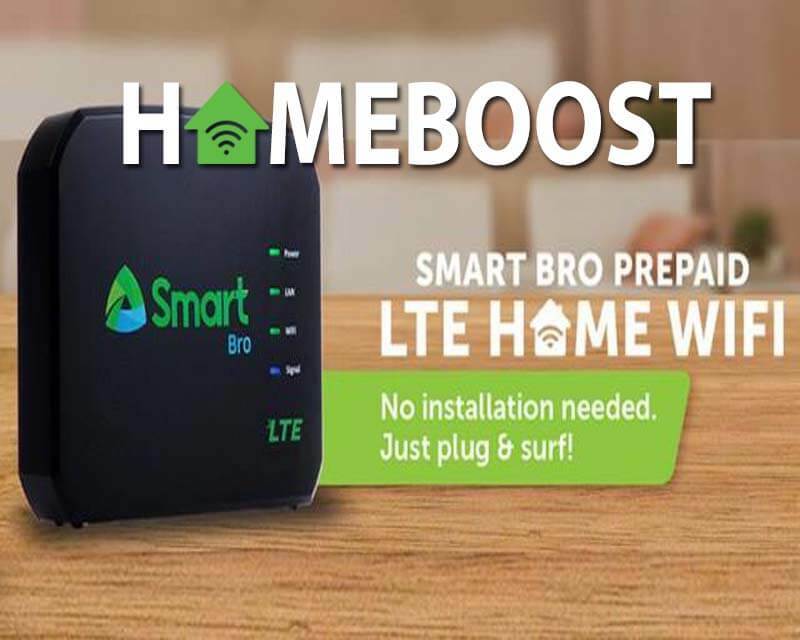 With Smart’s nationwide LTE network coverage, you may enjoy up to 42Mbps when you register to Home Boost packages. It is also perfect offer to those who wants more data allocation and do not want to settle for fixed monthly internet plan bills. If you’re not yet a Smart Bro Home Prepaid LTE Wi-Fi user right now, you easily avail it at Smart Store and online for only Php1,995 one-time payment. It also comes with free 10GB of data, valid up to 7 days upon activation. Once it expires, you can register to GigaSurf or SurfmaxPlus then top up to cheapest Home Boost offer below. To register, you need text keyword then send it to 9999 or 2200. Also available in PLDT Home Prepaid WiFi and PLDT Home Boost promo. Take note the HomeBoost 15 is only available on top of GIGA50, BOOST50 and any SurfMax Plus subscription. You also need at least 250MB left on your current promo to buy this add-on for 15 pesos. Once you fully consume all the data, you can still continue your surfing by availing other Smart Data Promos prepaid internet offers.